In addition to the iPad Pro, Apple trotted out the new iPad mini 4 at its big fall press event in San Francisco today. Like the original iPad Air, the iPad mini 4 starts at $399. 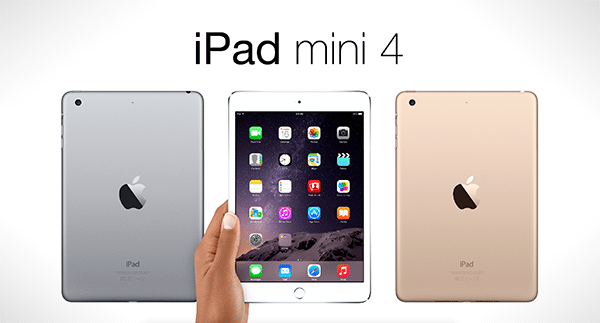 The iPad mini 4 weights just 0.65 pounds. It features similar internals to the iPad Air 2, which is not being updated today. Like iPad Pro, the iPad mini 4 is meant to act as a showcase for the multitasking features in iOS 9. These include a split screen, picture in picture, and Slide Over as this opens up a side panel app with a left-to-right swipe. The iPad mini 3 has been scrapped from the iPad product line. Meanwhile, the iPad mini 2 now starts at $269.